Q. How do you secure this toilet to floor? Hi, thank you for your question. This pan has a hole either side were it can be secured to the floor. You may like to look at fitting kit code E369. Hope this helps! 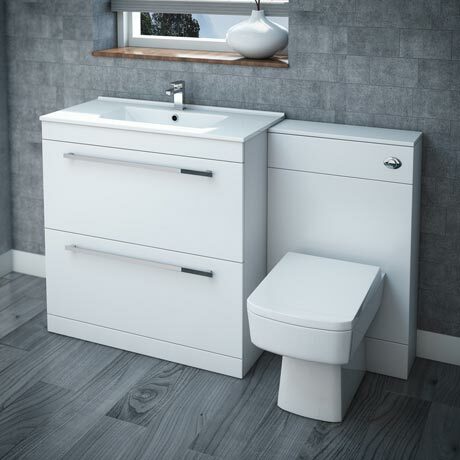 Very pleased with recent purchase of nova gloss sink and vanity unit plus matching nova square wc and unit. Very modern and sturdy. Great value for money. So good that we brought three, for our new build house with 3 bathrooms.